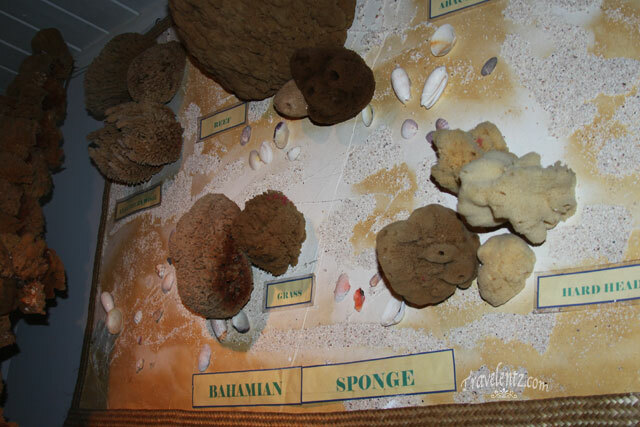 Junkanoo Cultural Tour at Bahamas is a cultural tour to experience the Bahamian culture. 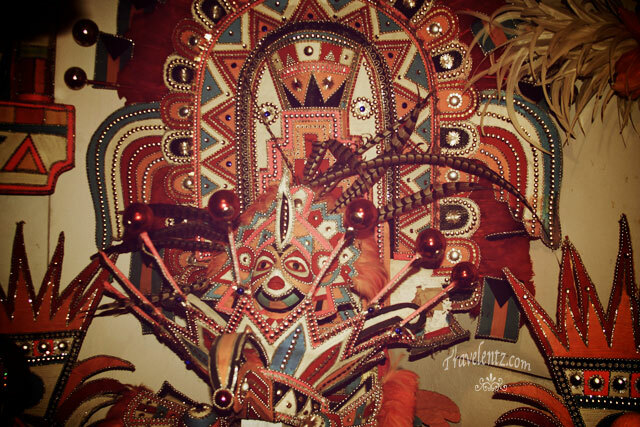 The museum was small but filled with lot of costumes and rich in history. The tour guide and her husband explained the history and go from room to room. The last room we went was the most interesting one, we were had a chance to make our own mini float, have a sample of the most well known beverage and shown how to play the instruments like drums,cowbells and whistles from then we were all experienced the Junkanoo celebration right inside the museum. Video is not allowed inside the museum but you can take a lot of photos and we had a chance to wore some costumes but geez its so heavy that I don't like to move.As you know the costumes are made of cardboard or wood, crepe paper, tie wire, and lots of glue.Imagine yourself wearing the costumes from headdress, shoulder piece and skirt and then dance in a street. 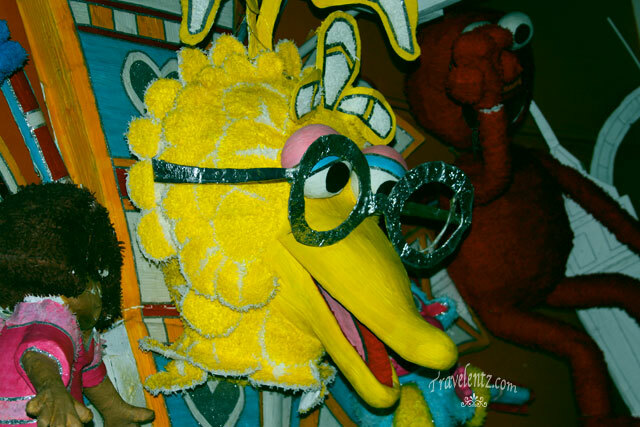 Junkanoo have different theme and costume competition and whoever wins the costume's creation will be displayed in Junkanoo museum. 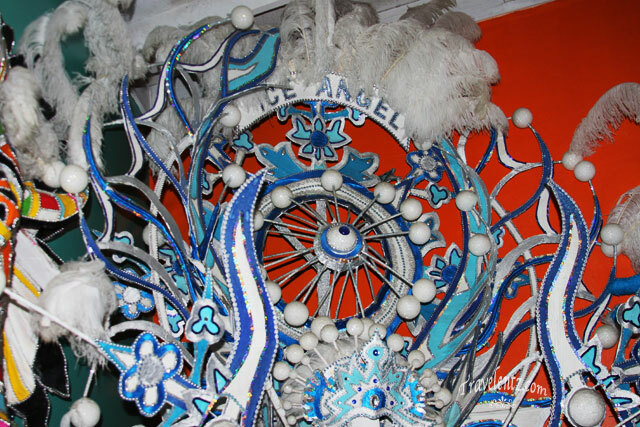 Junkanoo is parade occurs in Nassau held on Boxing Day on December 26 and New Year's Day from 2:00 a.m. until 8:00 a.m. I've never been experienced anything like this tour before so glad we chose the cultural tour in Bahamas. How about you have you ever been in any cultural tour? How was it? Gusto ko yung color yellow na bird :) Wish I could also experience a cultural tour someday! I like those colorful craft, very bright and appealing to the eyes! I've been to several cultural tours in Asia and Europe. Each tour is unique in many ways than the others and each tour gives us more info about the country and the culture, more of an immersion trip. The first two pictures are stunning - really looks like authentic tribal headdresses. Pretty grin in that solo pic, Mhie! Very colorful crafts, beautiful photographs. I wish I could get to visit similar places over here. 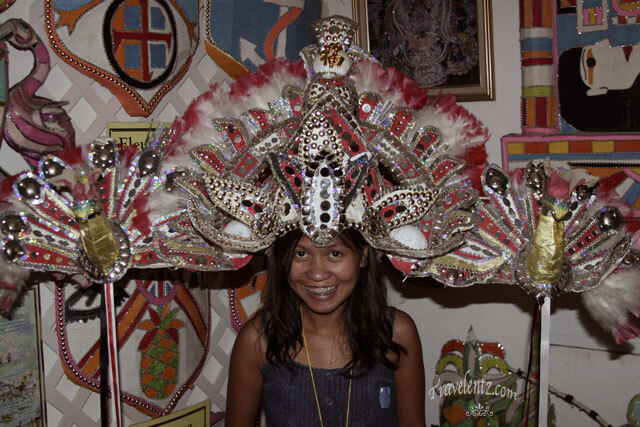 haha, that headdress is indeed so huge for you Mhie, love your smile/grin. 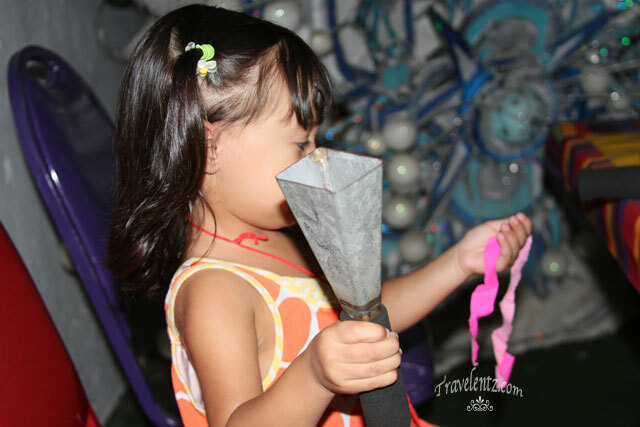 i love interactive museums such as this one where guests can get involve in some activities instead of simply looking. its always great to experience new culture...and glad that it was interactve, i bet you enjoyed it. :) lovely smile and your little one is so busy. thanks for sharing. Been to a cultural tour before and it was an awesome experience to know more about that country. Looks like you had so much fun too exploring that museum. Very fascinating crafts. 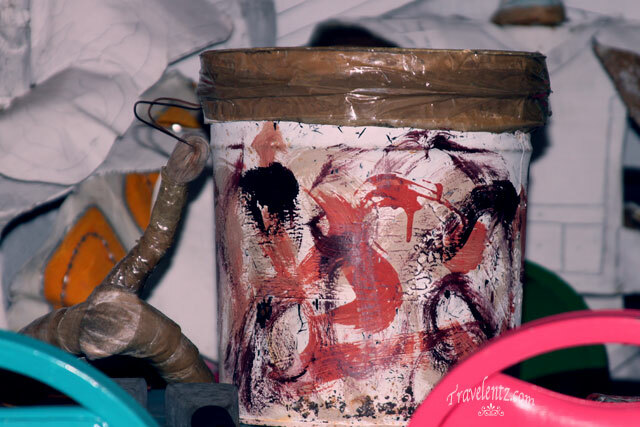 Ano kaya ang sini-symbolized noong unang pic? I haven't tried a cultural tour, sana ma-try ko din! Ang bonggels nun head dress na sinuot mo! I've never been there thanks Mhie for bringing me there now through your beautiful photos :) btw you look cute on that colorful thing in your head.